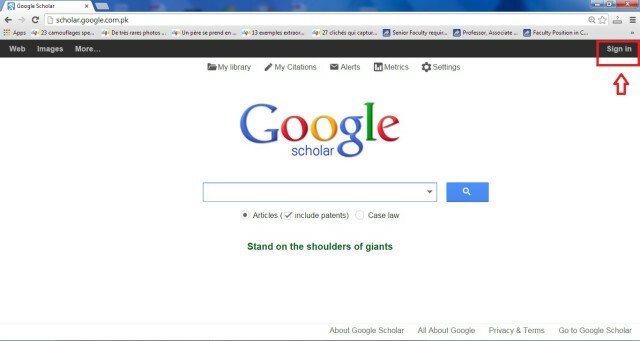 Academic people would agree that Google Scholar is one of the most effective tools available to the scholars, researchers and students. They can not only use Google Scholar Search feature to find the latest research in their field, but also easily share the details about their latest publications with the academic community. 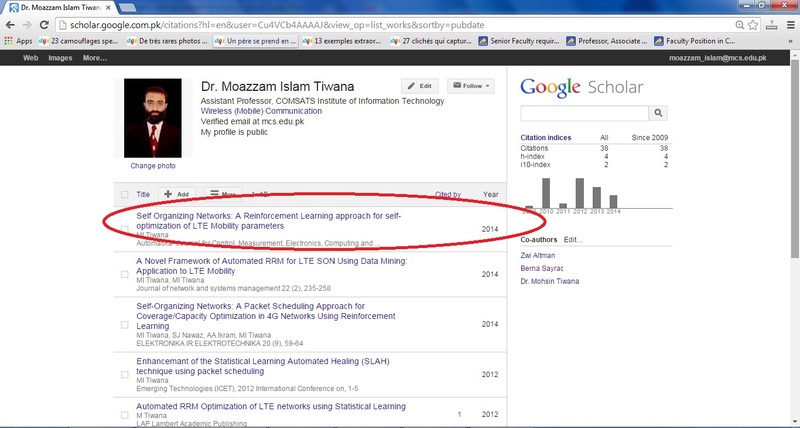 Google Scholar Citations feature lets you automatically keep track about who is citing your article. You can easily subscribe to the Google Scholar alerts so that you are notified by email about new citation to your article. 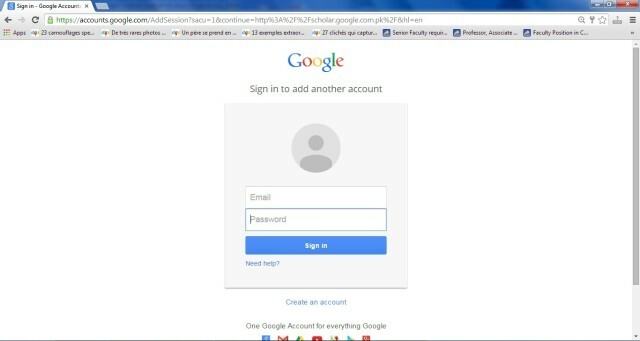 You can easily make an account at the Google Scholar using your Google e-mail id. Most of your publications will be automatically indexed on your main profile page. However, sometimes this procedure takes a few months, but you can also do this procedure manually and add those publications to your account. Here, we have prepared a step by step guide to help you with the procedure. 1. Open the main page of Google Scholar and click “Sign in” tab on the right top. 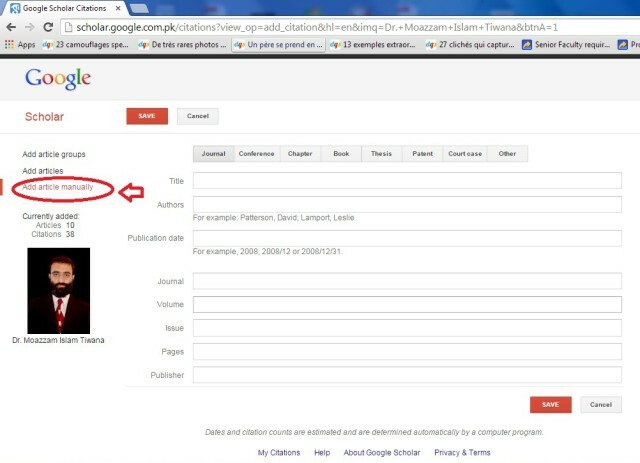 5: Here, select add article manually and enter your publication details. Then click save. 6. 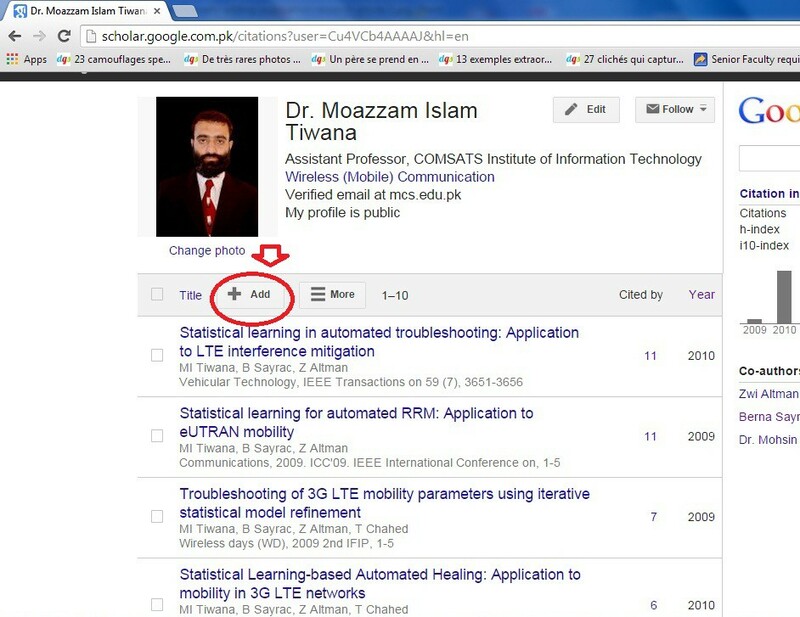 When you are done, come back to main profile page by clicking “My Citations”. You will see your added paper. When you have to add an article this way, will google scholar update the citations properly when the article gets cited? This process allows one to list the publication details but without being able to upload the article. If one has a soft-copy of the article, how can one upload this on google scholar? You can upload your pdf to http://arxiv.org/. And then link to it while manually adding the publication. Thanks Admin for the prompt response. I have checked out the http://arxiv.org/ link. The concerns are that the sites is focused on articles on Physics, Mathematics, Computer Science, Quantitative Biology, Quantitative Finance and Statistics. My area, Education, is not included. Any suggestion? I have a profile with researchgate with uploaded articles. can that be linked to the google scholar? The option seems to be linking articles in a university repository with the google scholar. Why can’t google scholar consider individual upload directly on google scholar as researchgate is doing? I am facing an issue that my citations have been increased unbelievably. .. So am just wondering if you can provide me the right information regarding to that ? And if those citations are not main how can I removed? ?